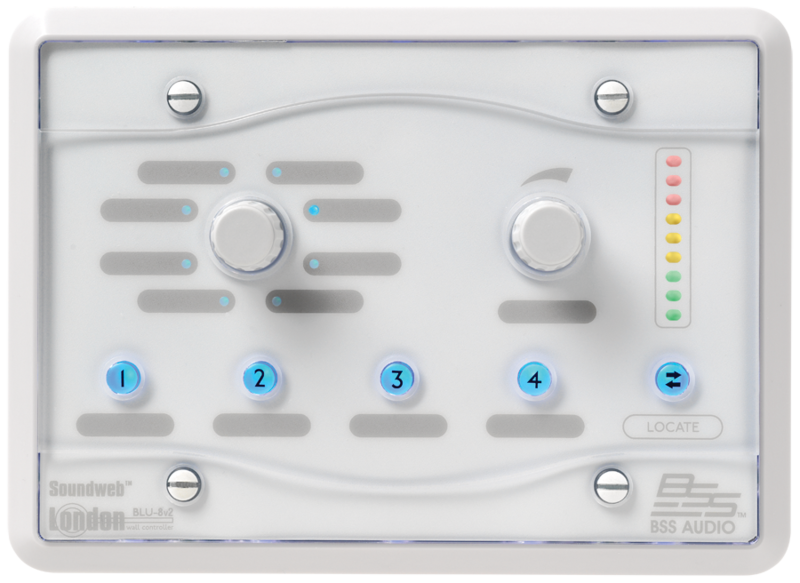 The BLU-8v2 is a HiQnet compatible programmable zone controller capable of controlling a single zone, four zones or eight zones in different modes of operation. A simple control surface and informative visual feedback ensure that non-technical users can be confident in making changes to an integrated AV system. What's different about the v2? The BLU-8v2 shares the same feature set and appearance as the original BLU-8 but benefits from a significant hardware upgrade. 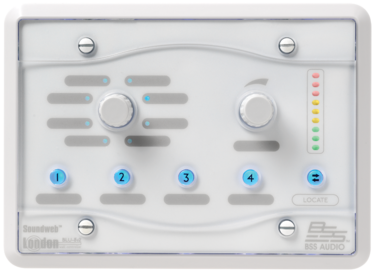 Under the surface, the BLU-8v2 has much in common with the rack-mount Soundweb London devices and this revised hardware design offers considerable enhancement to networking functionality. The BLU-8v2 is available in white or black.